Vidiyu is the ultimate solution for editing, trimming and combining/mixing all of your media content. 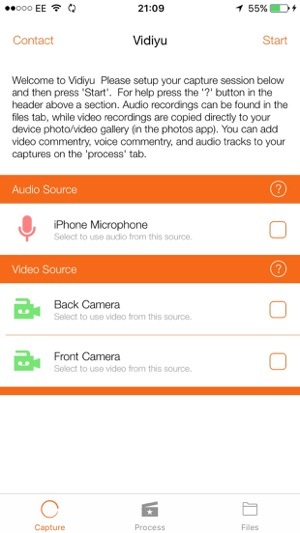 Vidiyu lets you take videos from the camera, record sound from your microphone, or use video or voice already on your device; and then trim, combine/mix and edit these into one final file. 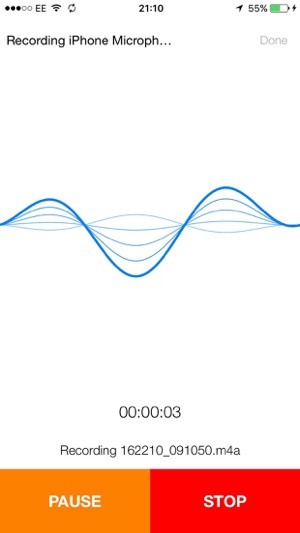 - Capture from the Microphone, Camera or any other available media input on your device. - Add background music or commentary to existing videos with full control of mixing volumes. - Unique new trim control to help you trim audio files with precision. - Record and manage all your media files from one place. First of all, if anyone says it slows down apps it's not Vidyo's fault. AirDrop always does that. So anyway I downloaded the app and I was pretty happy about it. The only thing I was feeling native about was that it was a little confusing on how to use it. I never even successfully recorded because of this. At one point - I don't know why - the "record screen" option and others were GONE! The whole reason I got this was to record my screen!!! So I restarted my iPod and then the app icon was darkened and I tapped it and then it said "waiting." Is this an issue with my device or the app?!?!? So now I can't even open the app and in the time I had the app I feel like I just lost five bucks. The only reason I didn't give this a one star was because I've used IDev's stuff before and I liked it. My opinion to those wondering if they should buy this: wait until it fixes or updates. PLEASE fix or add something. WHY is "record screen" disappearing? 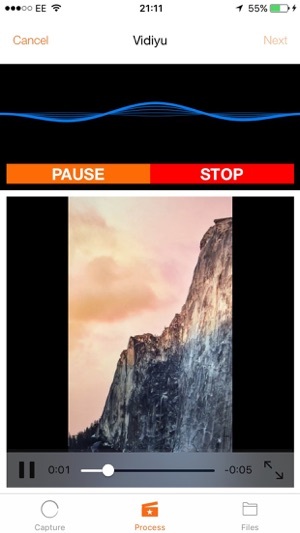 WHY is the app darkened and "waiting" after a system reboot? I'm sorry to be writing negative about one of IDev's apps, but please fix this!!! 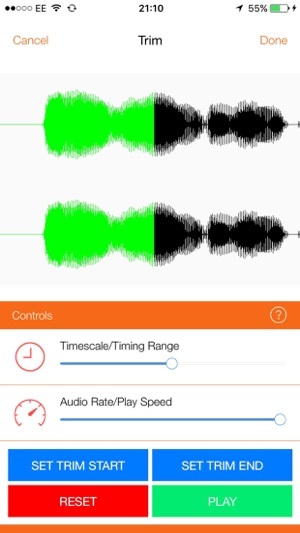 The app works great it has a choice between using built in audio mic audio or both. The screen records can record up to 1080p and the frame rate is ok for a screen recorder. The only downside to this app is that you have to go to your AirPlay for it to work. Personally I had a lot of trouble with this when I put the AirPlay into the app it works and also records the screen fine but I had trouble taking it out of AirPlay mode. I tried what they said by going to AirPlay and selecting iPhone but it simply wouldn't go out of AirPlay which meant it was recording the whole time. What I had to do in the end was respring my iPhone (Holding Down The Power And Home Button At The Same Time) and that worked so if your devise doesn't go out of AirPlay mode then just simply respring your iDevise (GO TO SETTING AND ALLOW THE APP TO ACCESS YOUR CAMERA ROLL BEFORE DOING THIS). Over all it's a great app and I highly recommend it! 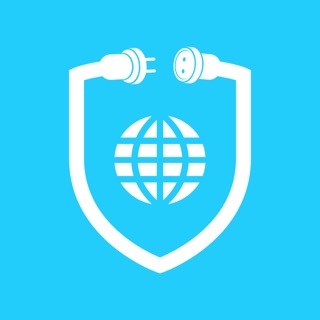 I bought this app because it's by the same developers as Plug PE, and I've had a good experience with that. 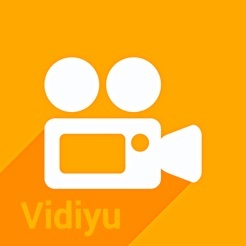 I'm happy to say that Vidyo! is just as good. 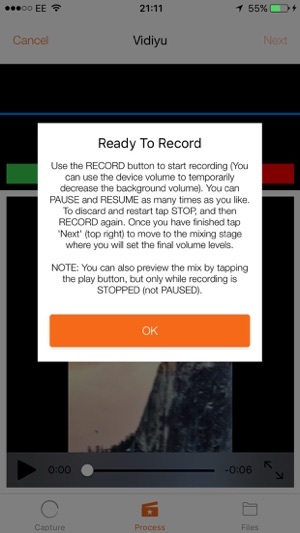 You can record your screen while in any app, and it is in perfect quality ( which you can even change in the settings if you wish ). In the past I've had internet downloaded screen recorders such as Shou and iRec. My experience with those were not great, and it was a hassle to even get them downloaded. But Vidyo! with zero hassle to download, records much better than any of the Internet-downloaded ones. The recorded videos download directly into your camera roll, so they're easy to find, and then can be edited through the Vidyo! app itself. I can't believe this is available on the AppStore. Definitely worth the price and a good purchase.